Metals and metallic alloys have been favoured engineering materials for many years. They are charecterised by their strength, electrical and thermal conductivity for formability, as well as their ability to have their properties tailored via heat treatment. More recently however, new alloys are being developed that can operate under more demanding conditions, as well as those with reduced weight, leading to more extreme applications. The Journal of Vacuum Science and Technology A is devoted to reports of original research, review articles, and Critical Review articles. JVST A covers topics such as applied surface science, electronic materials and processing, fusion technology, plasma technology, surface science, thin films, vacuum metallurgy, and vacuum technology. 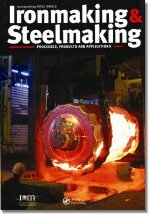 Ironmaking & Steelmaking: Processes, Products and Applications monitors international technological advances in the industry with a strong element of engineering and product related material. 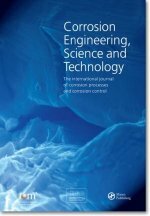 Steel Research International is a journal providing a forum for the publication of high-quality manuscripts in areas ranging from process metallurgy and metal forming to materials engineering as well as process control and testing. The emphasis is on steel and related metals and on materials involved in the processing, such as refractories and slags.